Add a little math to your summer! 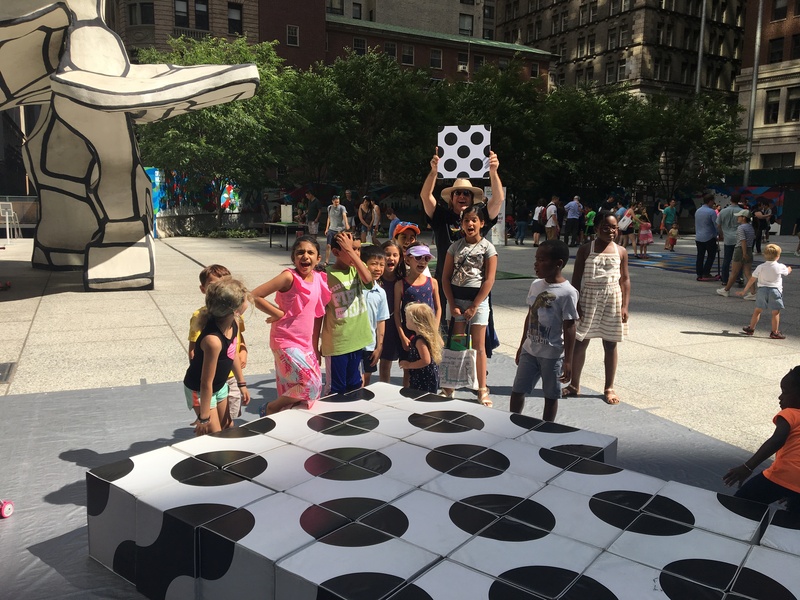 MoMath is pleased to present the third annual NYC Math Festival on Saturday, August 18, from 10:00 am to 4:00 pm, providing a full day of math fun in the sun. 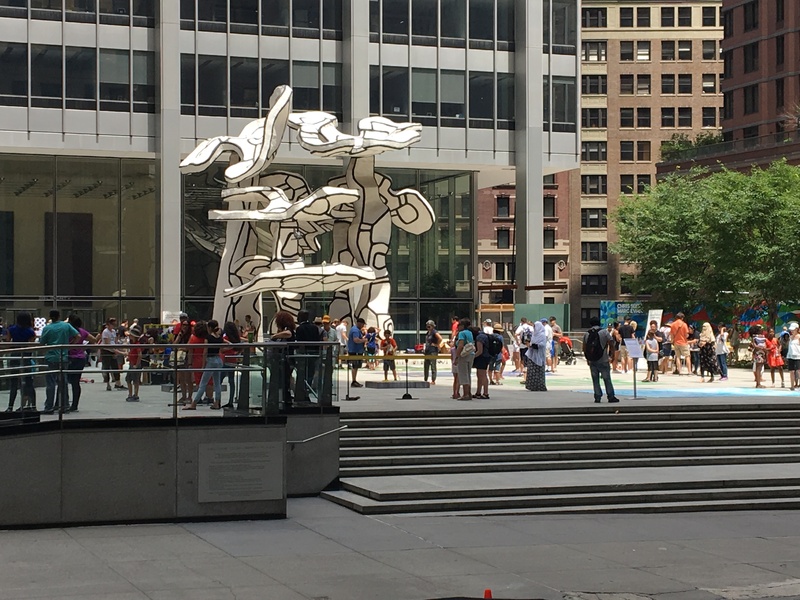 Bring your friends and the entire family to Fosun Plaza at 28 Liberty St. and enjoy hands-on math exhibits, entertaining mathematical games, and intriguing puzzles and brainteasers. But that’s not all… the day will also include exciting performances, group constructions of giant geometric sculptures, and the largest bagel-juggling demonstration you’ve ever seen! 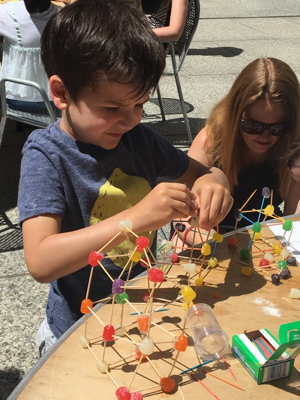 Plus, take home a little bit of MoMath: we’ll be setting up an outpost of Additions, the shop at MoMath, for all your summer gift needs. Slice shapes with lasers, explore giant mazes, crank up the math tunes, design a roller coaster, and more… Enjoy these and other Math Midway classics plus, experience the surprising shapes of math with Formula Morph, jump into an exciting race of mathematical and visual perception with Play Truchet, and enjoy the mind-bending puzzles of Twist-n-Roll. 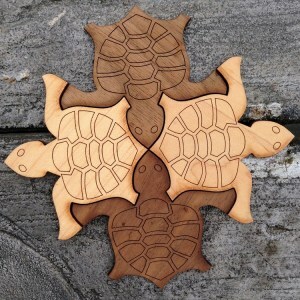 Make patterns, tile with turtles, count, spiral, and play your way to mathy delight! The fun is designed for preschool and primary school children, yet offers plenty to engage the minds of tweens, teens, and adults. 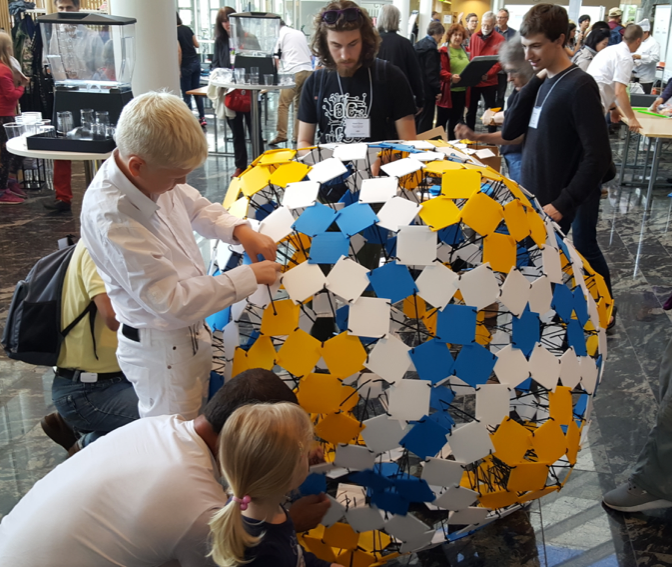 Help build a giant geometric sculpture using hundreds of pieces with mathematician David Reimann. If you can thread a cable tie through a hole or count to six, you can help! 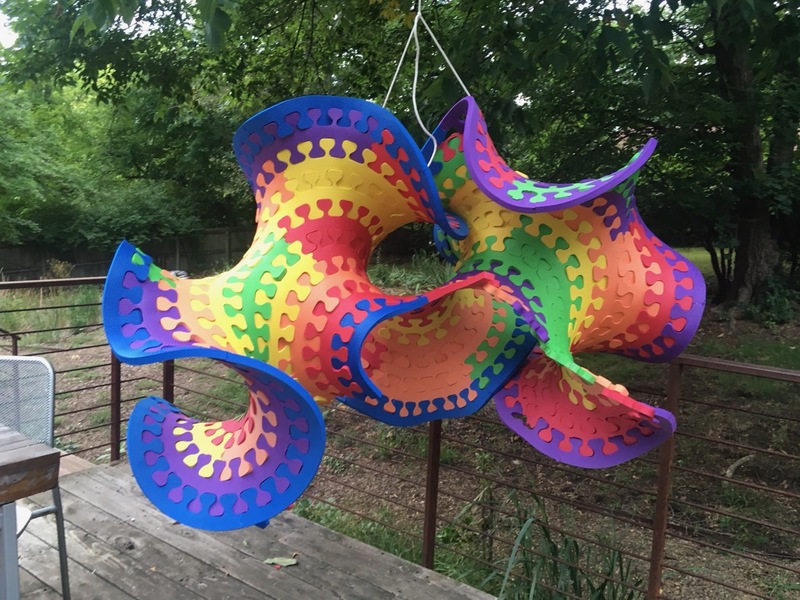 Join mathematician Chaim Goodman-Straus in constructing a breathtakingly beautiful model of hyperbolic space. As he tosses clubs and balls in crowd-thrilling arcs, educator John Chase demonstrates how mathematics is the secret to a juggler’s ability to anticipate the path of a ball or club in space and time. 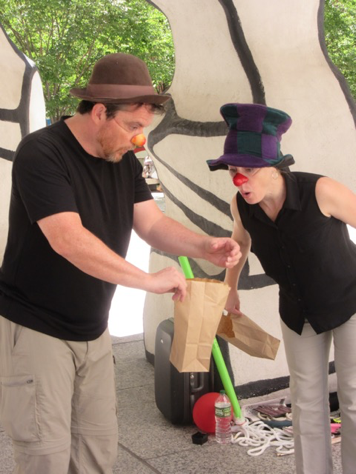 Mathematical mimes Tim and Tanya Chartier create the illusion of a wall, play catch with an invisible ball, and pull on a nonexistent rope in a series of fun vignettes illustrating concepts including estimation, tiling, and infinity. The Great Manhattan Tori Toss, a record-breaking bagel-juggling demonstration! 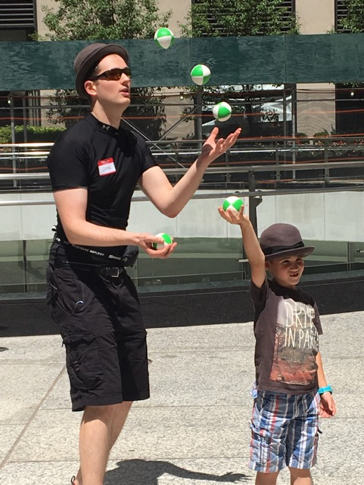 Join MoMath on the plaza at 2:30 pm for the world’s largest-ever bagel-juggling demonstration! See New York’s quintessential breakfast food, the bagel (mathematically known as a torus), featured in this entertaining and record-breaking demonstration. Amateur and expert jugglers alike are welcome to join the fun and help see just how many bagels we can loft into the air. Don’t miss the fun! Bagels will be provided by Zabar’s and zabars.com, the New York food emporium, Broadway @ 80th Street. This is a free, rain-or-shine event open to the general public from 10:00 am to 4:00 pm on Saturday, August 18. Contact MoMath at 212-542-0566 or functions@momath.org with any questions.